There are few regions in the world with such a great variety of wines like Veneto. Think about the fact that here there are some of the best red and white wines or Prosecco besides a great choice of grappa and spirits. It is not a case that the people of Veneto are renown to appreciate high-quality wines and they never refuse a glass of wine. Red wines of Veneto are produced above all in the area of Valpolicella, at the feet of the Alps of Verona, a place that has the perfect conditions to produce a great wine, given the abundance of water and the mild temperature for the whole year. Valpolicella is obtained through the use of three autoctone varieties of grapes: Corvina, Molinari and Rondinella. The wine is called Valpolicella Classico when the producers use vines located in the area of historical Valpolicella, enclosed between the municipalities of S. Ambrogio, Marano and Negrar. From wine Valpolicella Classico, through a process of maceration of the pomace and the right aging in barrels, results also Ripasso and Valpolicella Superiore. Recioto instead is a delicious sweet wine, using the same grapes after withering them. From Recioto, then, comes one of the most famous wines of the world, Amarone della Valpolicella, with a high alcoholic volume and a unique taste, perfect with red meats and game. The white wines of Veneto are characterized by a straw yellow colour and an astringent taste; worth mentioning is Soave produced in the area of the city with the same name famous for its medieval castle. This wine is produced with a 80% with grapes of the variety Garganega and the other 20% with Trebbiano. 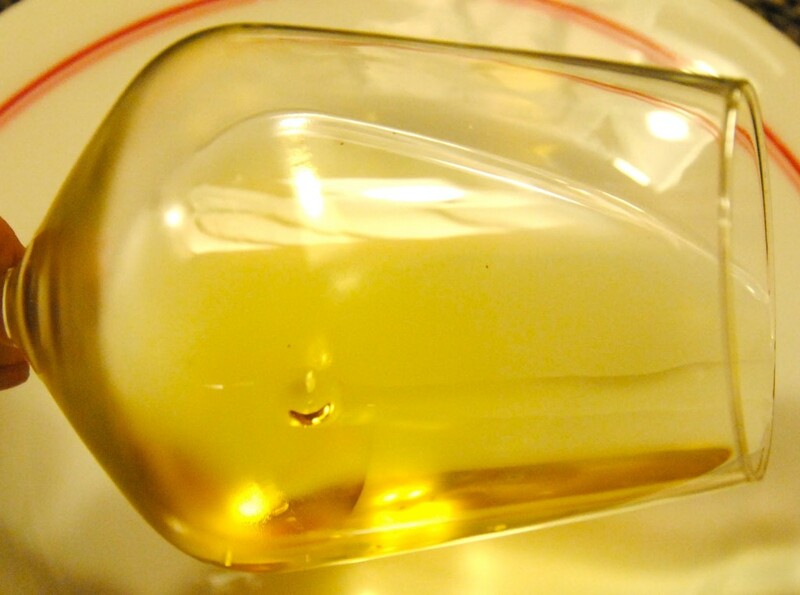 Another white wine of the area of Garganega is Gambellara, less popular but equally precious of the other wine of the same place, that is produces using exclusively the variety Garganega. White wines of Veneto can be perfectly paired with dishes of fish, in particular “Baccalà alla Vicentina” (english Vicenza-style codfish), or as aperitif. If there is a type of wine that identify Veneto all over the world, this is prosecco, that comes from the area of Treviso and Belluno. Prosecco of Veneto is produced in the area of Treviso and Belluno. Prosecco of Veneto is produced in different varieties starting from the variety Glera at 85%, whereas the other 15% can come from different grapes, according to the result that you want to obtain. 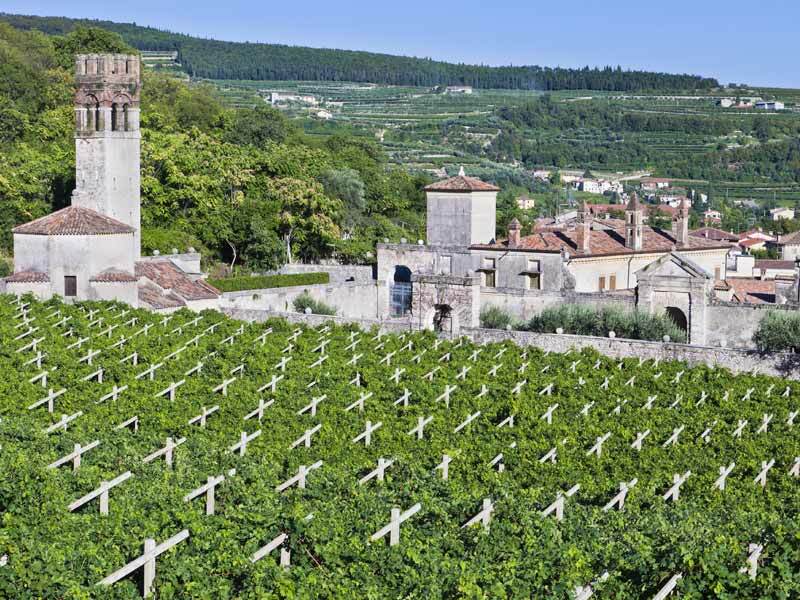 The most spread varieties are brut and demi-sec (dry and extra-dry), but there are also great rosé wines and “Millesimato” obtained with grapes produced in a specific year. Prosecco of Veneto is a must during the happy hour together with appetizers like for instance croutons of cornmeal mush and grilled radicchio. Veneto is also known for the wide choice of liqueurs and spirits produced above all in the area of Prealpi. The mountain tradition of this places is enclosed in the aromas and in the tastes of grappas and local spirits, often flavored and sipped at the end of the meal as digestive.